Create your own fundraising event - from shaving off your hair to organising a black tie dinner - the sky's the limit! 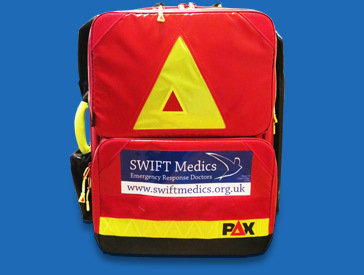 As we are a registered charity, if you are a UK tax payer, completing a Gift Aid declaration form along with your donation will enable SWIFT Medics to claim back £25 for every £100 given so far. The Unity Lottery is a a weekly draw to win £25,000. When you play, nominate SWIFT Medics as your chosen charity and half of what you pay to play will support the life-saving work of SWIFT Medics.